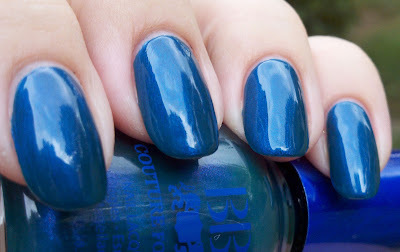 Today's post is the second half of the "girls" Infamous Lovers set by BB Couture. If you missed the first half, click here! First up, and my personal favorite, is Bonnie, as in Bonnie & Clyde. They were famous outlaws during the Great Depression. Bonnie is a kelly green jelly with gold and green micro glitter. 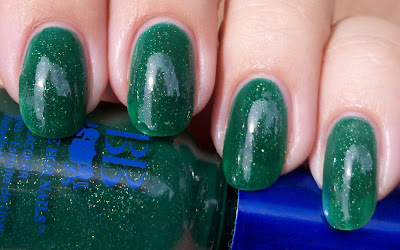 If you have never ever tried a BB Couture polish before, I definitely recommend starting with one the glitter jellies. There formula is superb! Eve from yesterday's post would be a great option, since a lot of people responded positively to it! 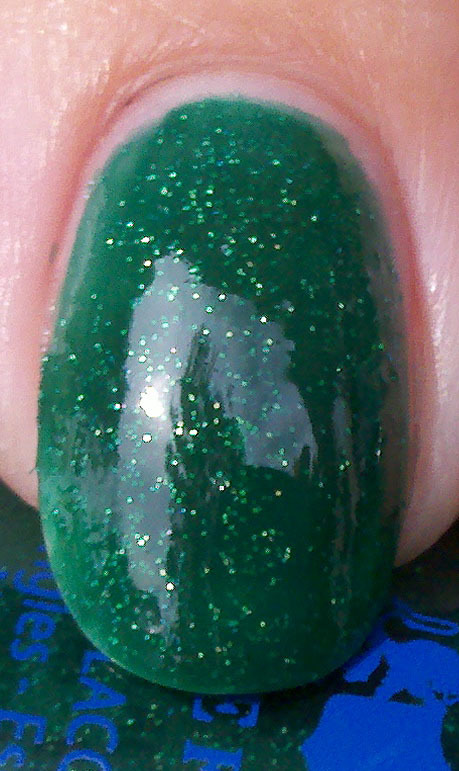 This was three coats, topped off with SV. You can do slightly thicker coats if you want to avoid VNL. I didn't want to take this off when I was swatching! Next up is Carla. Carla and her Infamous Lover(!) Michael are very dear friends of the owner of BB Couture. How cool is it to get nail polish named after you? 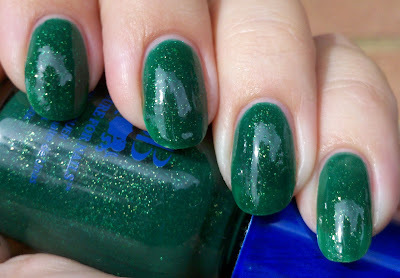 When I pulled out Carla, I thought it was going to be just another vampy purple shimmer. I was definitely wrong about that! 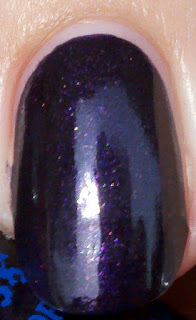 Deep eggplant purple with pink and blue shimmer. Definitely click on the pictures to enlarge! The formula on Carla was A-MA-ZING. Not thick, not runny, perfect! I used two coats, but I think I could have gotten away with one! Lastly we have my personal favorite historical Infamous Lover, Cleopatra. My degree in college was Greek and Roman history, and since both the Greeks and Romans did travel to Egypt Cleopatra showed up in a lot of my studies. She had more than a few infamous lovers! She bore the children of both Julius Caesar and Marcus Antonius, or Anthony, who he is referred to by BB Couture! I am sad to say these pictures do not show how Cleopatra looks in direct sunlight. In the shade, she is beautiful, but in the sun, you see her green side! Green shimmer to die for! Like the rest of the collection, the formula on Cleopatra was excellent! Yesterday Jenni commented "BB Couture can do no wrong IMO. NO WRONG." I have to agree with her! BB Couture can be purchased from Overall Beauty (Kim is fab!) or directly from BB Couture. 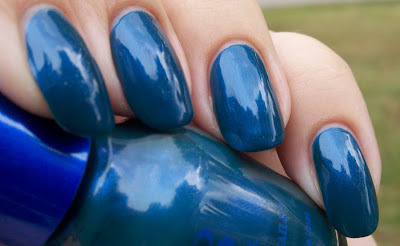 *These polishes were sent to me (indirectly!) for review.